Rolling Stone: Pop culture, politics and TV. | the writings of sylvia a. Rolling Stone is a biweekly magazine focusing on music artists, politics and pop culture. Jann S. Wenner, has been the same editor and publisher since the magazine was first created on November 9, 1967. 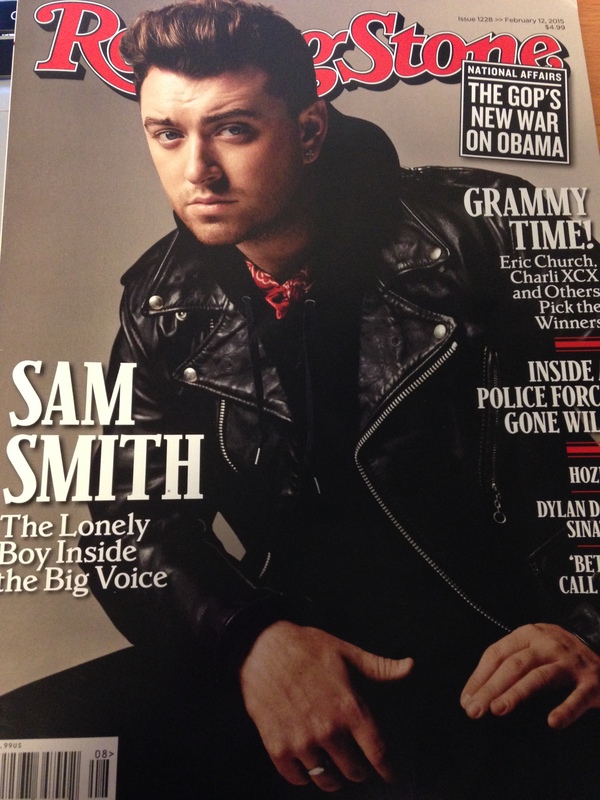 The latest issue I retrieved was Issue #1228 (February 12, 2015) with the music artist, Sam Smith on the cover. The magazine itself looks bland and does not stick out to me at all, as the background is a gray color, with the “Rolling Stone” in bright red letters with a black outline to try to make it pop and stand out. It took a while to find the magazine in Barnes and Noble because it seemed to blend in with all of the other magazines. This magazine is aimed towards young adults in their 20s and up. Income is not necessary when buying this magazine because a regular issue costs $5, anyone can buy it. However, a “special edition” has the price of $14.99 – when I noticed it at CVS, Walgreen and Safeway in Towson. This magazine is also aimed at both men and women because it covers a variety of different music artists that are on the rise, along with articles about politics. This magazine also includes information about TV shows, movies and popular music at the moment. I had noticed throughout the magazine that the ads are more to men because they have ads on smokeless tobacco or beer. 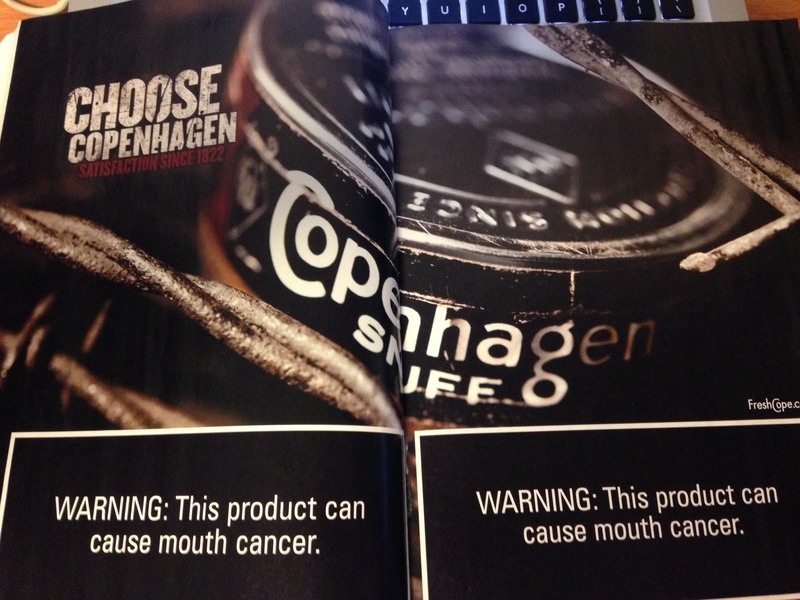 There is a two-page ad on “Copenhagen” tobacco with a large square that states its warning about the product itself. The magazine’s specific focus is music, politics, TV, movies, culture and the latest lists. This is shown in the magazine along with its website. Its identity is relatively geared towards the demographic age for people between 20 to possibly 34. The main article will be shown on the magazine’s front cover. 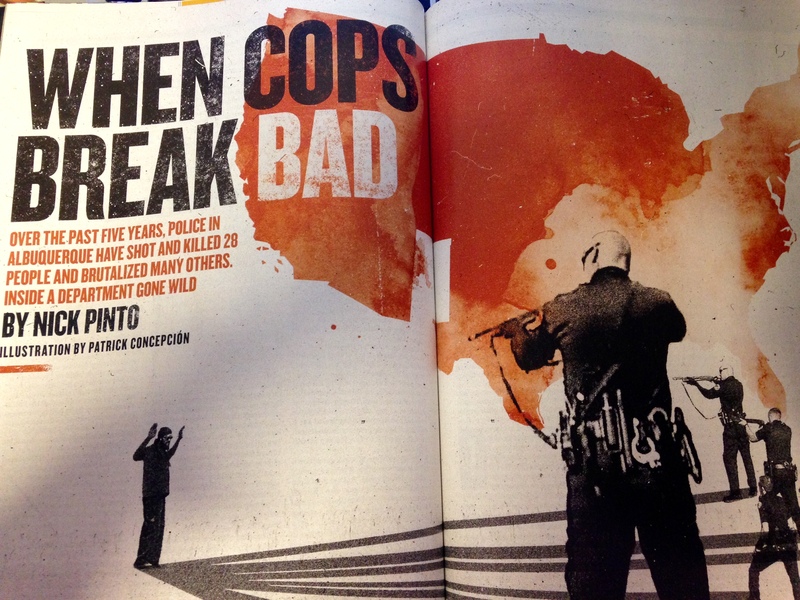 Along the cover, the “smaller” stories are located on the right side of the front page of the magazine and before the bigger article on the inside of the magazine. In length, the main article will make up a couple of pages including photographs to show the story in more detail. With the smaller or political stories, there are cartoons that make up the images of these stories. Jann S. Wenner owns the magazine and continues to be the editor and publisher since it first started in 1967. Staff working in Rolling Stone seems to be relatively small as they have been laying off people for the past couple of years. The company, Wenner Media LLC, has Wenner also owning Men’s Journal and Us Weekly. In total, Rolling Stone is a pretty small magazine as the February 12, 2015 issue has only 72 pages. There are more advertisements than actual editorials., in which the advertisements help the magazine makes its money. In this issue, there are 23 advertisements and with the rest being small editorials. With 23 pages being advertisements, this make up 31 percent of its magazine. 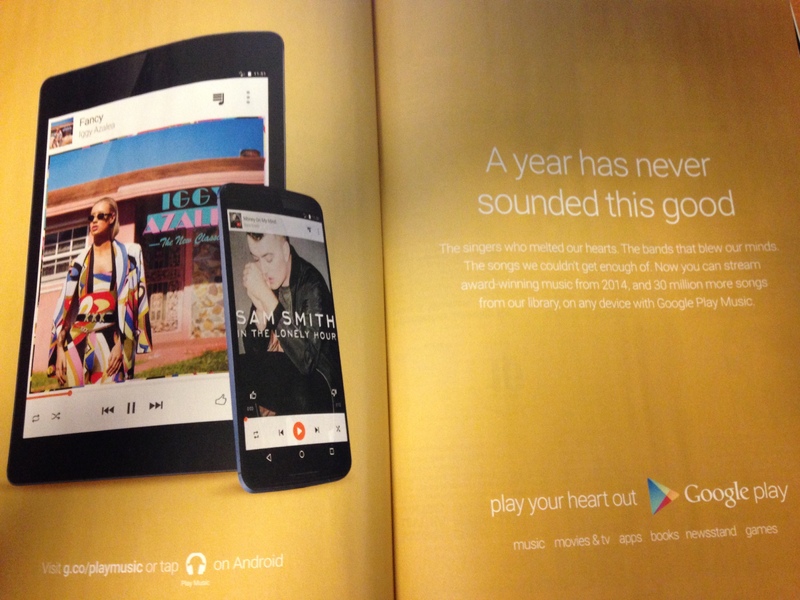 These ads are advertising Google Play with different types of chew less tobacco or alcohol. Each of these ads are a full-page in length and follow an editorial. The main articles are bigger in length and keep the reader interested and hit on the issues that are currently happening. The advertising/editorial ratio is 31:41. The magazine’s editorial content matches its philosophy because it focuses on the main topics, music, politics, TV, movies, culture and the latest lists, which makes this magazine different than others. Along with matching its editorial content, it attracts readers who want to look at the photographs that are attached with the stories or the cartoons illustrated. The editorial matches its audience because it focuses on current topics and issues that will keep their attention. Since Rolling Stone is geared towards a younger generation, the design matches it perfectly as it is gender neutral. It hits on all of the pop culture and its design helps the younger generation want to read more. 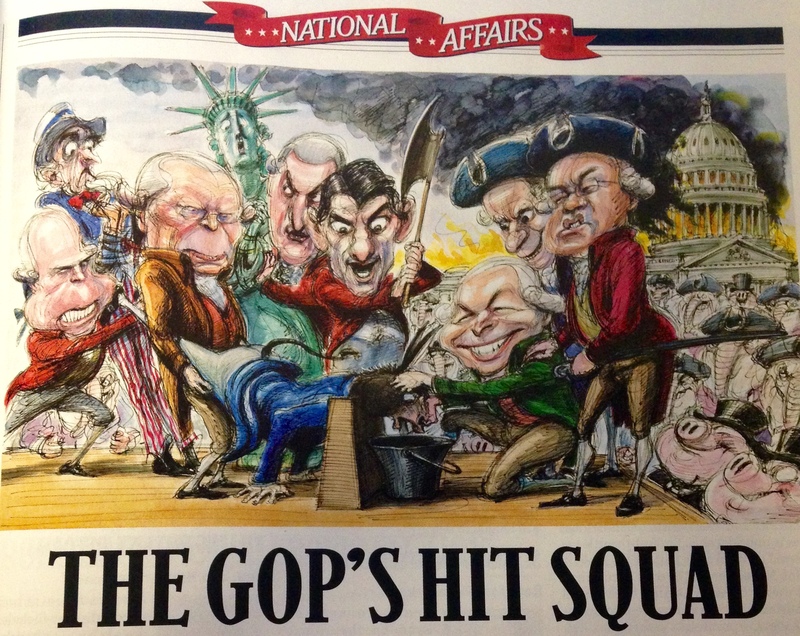 An example of the design is a cartoon about “THE GOP’S HIT SQUAD” which represents the Republican Party and giving a different view than other magazines would.